Over the last few years, I've been having a debate with myself over pricey shampoo. I fell in love with Shu Uemura and Kerastase Discipline about two years ago, but I could never quite bite the bullet to repurchase. I can't seem to come to any sort of conclusions, so I thought I'd talk it over with all of you - do you save or splurge on your shampoo?? 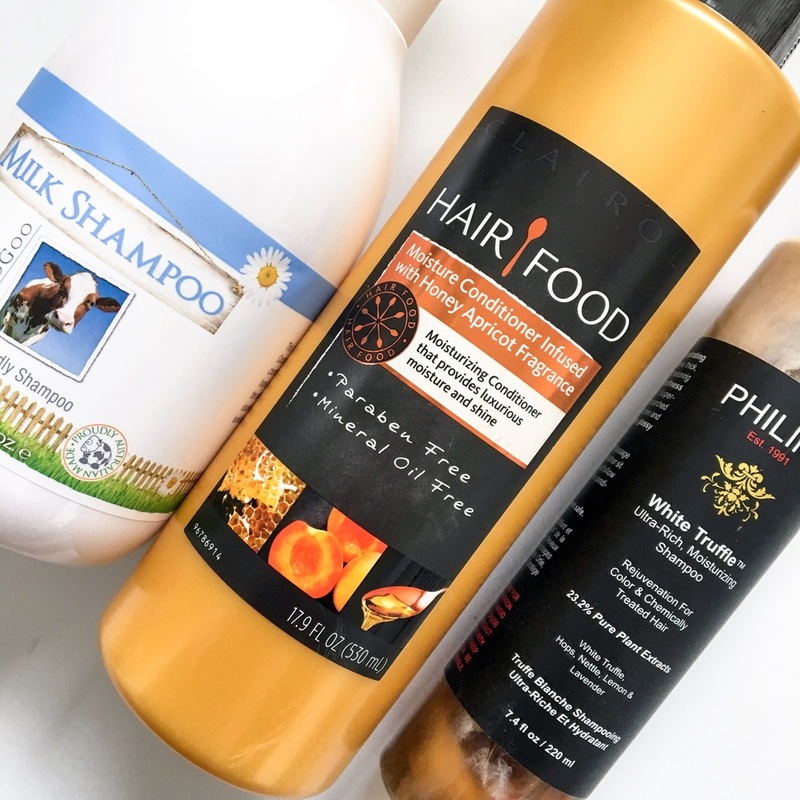 On one hand, I find that the pricier shampoos I've tried tend to be better for my sensitive scalp. I haven't taken the time to really dive into shampoo ingredients though, so I couldn't identify one that is or isn't in the pricier shampoos that contributes to this. (Thoughts? Should I be paying more attention to this??) I also really LOVE how Shu Uemura and other high end shampoos smell. It is just SO luxurious, especially since I am so picky about scents. It really makes for an experience! On the other hand, there seem to be plenty of decent inexpensive shampoos around that get the job done. But I haven't found one that I find at all exciting! Do I expect to much?? I also find that with inexpensive shampoos, I more often feel like there's residue or something, but maybe that's just me. So what are your thoughts?? Are pricier shampoos worth it? What are your favorites?? I'd love to know! !